​David Roth is a singer, songwriter, recording artist, and enthusiastic instructor who has taken his songs, experience, and expertise to a wide variety of venues in this and other countries full-time for more than twenty five years. His work has found it’s way to Carnegie Hall, the United Nations, several Chicken Soup for the Soul books, the Kennedy Center, Peter, Paul, & Mary and Kingston Trio CDs, the Kerrville and Falcon Ridge Folk Festivals (top honors at both “Emerging Artist” competitions), NASA’s Goddard Space Center (his song “Rocket Science” sailed on the space shuttle Atlantis in 2009), the Rise Up Singing and Rise Again (sequel) songbooks, and 13 CDs on the Wind River and Stockfisch (Germany) labels. Winner of four Positive Music Awards (celebrating the best in empowering original music) David was also the 2015 Grace Note recipient for Outstanding Contribution to New Thought Music. 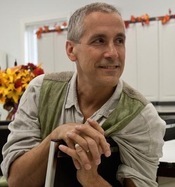 The former artist-in-residence at New York’s Omega Institute has been on many of Christine Lavin’s seminal Rounder Records compilations, and has also taught singing, songwriting, and performance at the Swannanoa Gathering (where he was Coordinator of “Contemporary Folk Week” for 5 years), Augusta Heritage workshops, Common Ground on the Hill, the Woods Dance & Music Camp, WUMB’s Summer Acoustic Music Week, Moab Folk Camp, Rowe Center, Pendle Hill, Lamb’s Retreat, the National Wellness Institute, and for many other songwriting groups and associations around the country. David is also creator of the Cape Cod Songwriters Retreat and organizer/host of the Cape’s “Full Moon Open Mic” which, for the past 10 years has provided a forum for musicians to connect and be heard while at the same time collecting donations (cumulatively over $13,000) for local non-profits to help neighbors in need. Defying standard categorization, singer/songwriter Sloan Wainwright, consistently demonstrates her easy command of a variety of American musical styles — pop, folk, jazz and blues — held together by the melodious tone of her rich contralto. With the end result being a unique and soulful hybrid. With a solid and impressive discography of 7 original CD releases to her credit, Sloan continues to write, sing and perform live. In addition, Sloan has written numerous musical compositions for theater and dance and teaches at many of the best-known master songwriter series and workshops. Sloan’s open spirit and first- hand experience is welcome –year after year– in the musical classrooms of such prestigious song camps as Richard Thompson’s Frets and Refrains, The Swannanoa Gathering, Summersongs, Wintersongs, and WUMB Radio’s Summer Acoustic Music Week (SAMW), Winter Acoustic Music Weekend (WAMW) Moab Folk Camp and Cape Cod Songwriters Retreat. 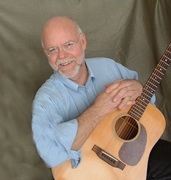 Charlie Hall is a full-time teacher and performer on guitar and mandolin. He’s a co-founder and past president of the Black Rose Acoustic Society in Colorado Springs, and co-founder and director of the Colorado Roots Music Camp. He was a finalist in the 2000 National Finger Style Guitar championship, and a nominee for Bluegrass Guitarist of the Year in 1996 by the Colorado Bluegrass Music Society. He’s a co-founder and member of The Sister Brothers, Big Honk and Black Rose and has performed with Joe Uveges, Phil Volan, the nearly-famed Trio Reynoso, and the fully-famed Flying W Wranglers. 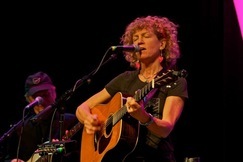 Cosy Sheridan has been called "one of the era's finest and most thoughtful singer/songwriters." A storyteller as well as a songwriter, she weaves children's fables into tales of modern adulthood. She has written about the stock market crash of 2008 and fall-out from uranium mining in the American southwest. She has re-written greek myths: Persephone runs away with Hades the biker. And then there are her signature parodies on aging and women. 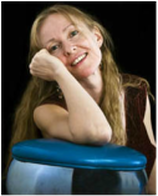 She first caught the attention of national folk audiences in 1992 when she won the songwriting contests at both the Kerrville Folk Festival and The Telluride Bluegrass Festival. She has been touring, writing and recording ever since. Her latest CD, Pretty Bird, was included in Sing Out Magazine’s “Great CDs of 2014”. 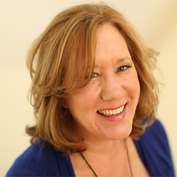 For the past 20 years she has taught classes in songwriting, performance and guitar at workshops and adult music camps across the country including the Puget Sound Guitar Workshop, California Coast Music Camp and The Swannanoa Gathering. 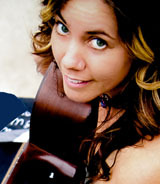 In 2008 she co-founded the Moab Folk Camp. Chad's work can be viewed at www.MoabArt.com. Charlie Koch has trained horses, sailed across the Atlantic more than once, and fronted an R & B band. He skippered a race boat for Buckminster Fuller. He whipped in for a fox hunt in Ireland and saddle broke young horses on a breeding farm in France. He taught tennis, skiing and horseback riding. He trained as a body oriented psychotherapist. These days, he tours as the bass player for his wife, singer/songwriter Cosy Sheridan. In his first CD, Help Me To Believe, Charlie sings of his father - who was also a sailor, and of his longing for a place to call home. His love songs are heartfelt - his melodies influenced by such diverse writers as Otis Redding, Ray Charles and James Taylor. His guitar playing has roots in soulful country blues.